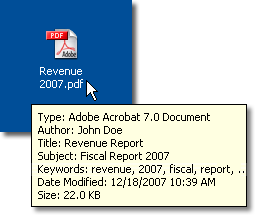 On mouse-over of the PDF file icon specific document information will be displayed. You can look for this information using search utilities using keywords, allowing you to quickly find relevant documents. The documents you create are not always intended for the same audience. 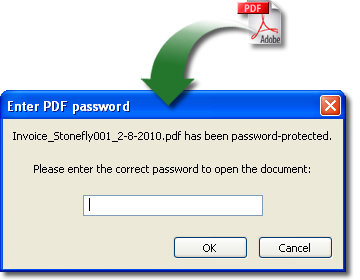 We make it easy for you to add security settings/password protection so that you can control who can view, print, edit, copy or add comments to your PDFs. 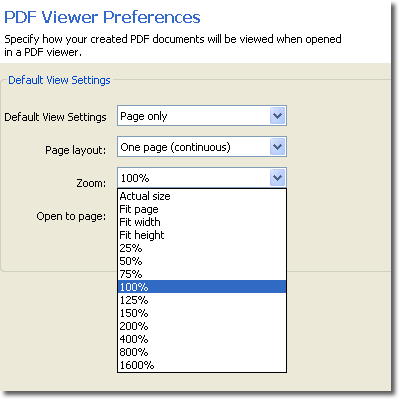 Using "View" settings you can specify exactly how you would like your document to be displayed when opened. This feature allows you to give your readers the first impression you want, as well as make your documents easier to read. 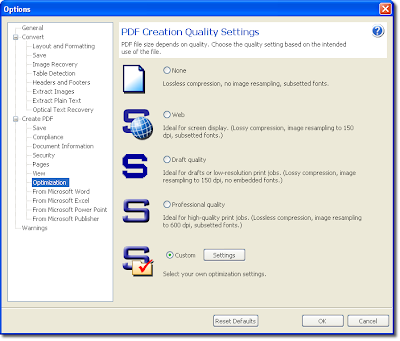 Optimizing your PDFs allows you to control the output quality of your document based on its intended use. 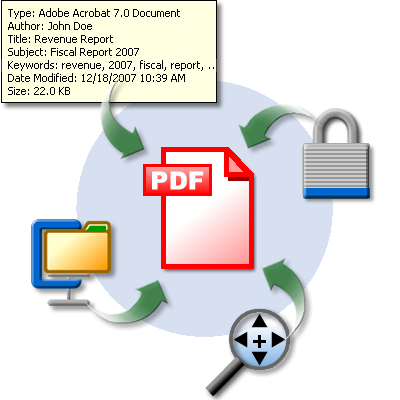 You can reduce the file size of draft documents, or documents you'll display on the Web, or help to ensure professional quality results when printing.